I was 11 years old when I got my first period. I was at a friend’s house for a sleepover and I woke up the next day and there it was. I was overjoyed to be the first one out of my group of friends to get her period. Back then, it was somewhat of a status symbol. I felt I had arrived. I knew all about periods after reading books about periods that my mom gave me. It was also a hot topic among my friends. We all couldn’t wait to finally “become a woman”. In fact, the night before my period arrived, we were playing Barbie’s and were pretending that they got their periods! For me, it was an exciting time. My older daughter, Olivia, is 16 years old and has had hers for a number of years already. My youngest, Bridget, is 10, and still hasn’t gotten her first period. My sister was 10 when she got hers and I was 11 so it really could happen at any time. I’d be lying if I said I wasn’t nervous about it. I know kids don’t always react with excitement like I did. It can be quite scary. I’m trying to prepare Bridget for its arrival by giving her information about her period and helping to clear up any concerns or questions she has. When I was little the Internet wasn’t around like it is today. Books and chats with my mom were how I got all my information. These days, you can still rely on books and mom’s advice, but there is also the Internet and reputable sites that you can get good, helpful information to share with your daughter. I really like the Period FAQ on the Playtex site. It gave me a refresher on the basics and the science of how periods work. It also clears up many misconceptions and worries that girls might have about their period. They also have advice about how to talk to your daughter about getting her period and all the changes that come with it. You know your child best and use that as a guide on how to approach her. For me, I kept my approach very casual and laid back. I sat her down and gently brought up the subject as normally as I could. It was awkward for me, but I tried to hide it and come across like it was just a regular conversation. It helped that I had a period essentials kit prepared to give her so we could discuss its contents and how they were used. It was actually ok. She accepted what I had to say and then continued on playing. I made sure to say that she can come to me anytime with any questions – no matter how silly she thinks they may be. 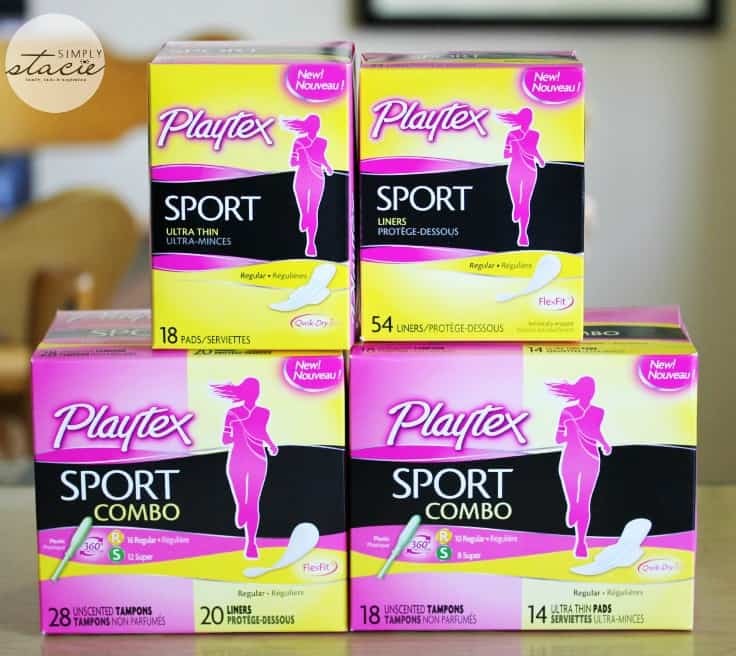 I like the Playtex® Sport® Combo packs because they give girls the option of trying out different products in the convenience of one box. 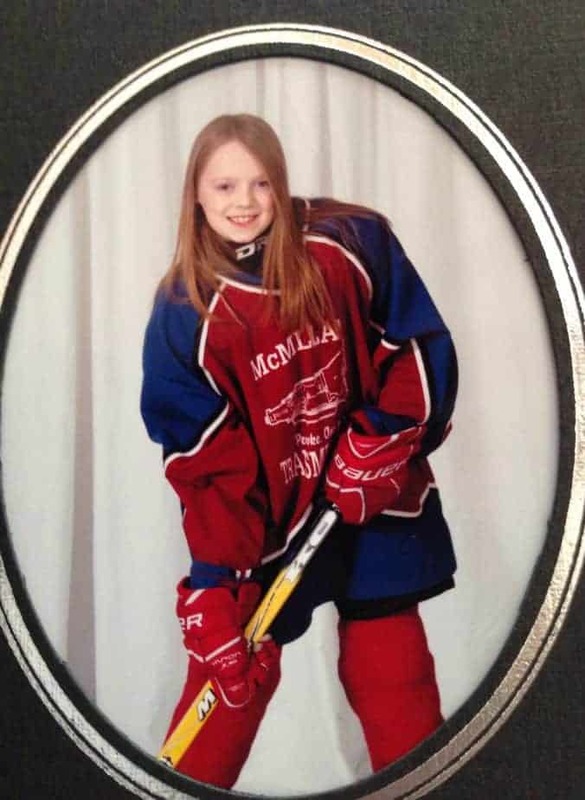 They come with tampons and either pads or liners so your daughter can try them out and see which ones work best for her in whatever activity she is participating in. Choice is good! These packs are great for girls just getting their first period or who want a little more variety. How did you prepare your daughter for her first period? I am glad it will be a few years before that happen to my daughter. I think it should be celebrated! I was 13, 53 years ago. My mother had given me pamphlets but that’s about all. My daughter is 10 and hasn’t gotten her period yet. We spoke about it last fall and she was very nervous. I tried to reassure her, but she is very worried. Thanks for the tips. Hopefully when the time does come she will be ready. Thank you for sharing this list. I have two girls on the verge of getting their periods and I would like to be ready. I have a toddler, so haven’t done any prep yet. Assembling a kit for her when the time draws nearer is a good idea. How things have changed over the last two generations when I had my first period!